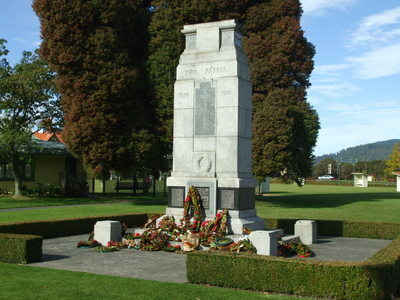 This monument was unveiled and dedicated on 6 July 1924. An account of the unveiling ceremony is available to read on the 'Papers Past" database. The article appeared in the NZ Herald on 8/7/1924 pg9.